Sometimes eating Paleo at a restaurant isn't about the menu. It's about the chef, or in this case, the pit master. Barbecue is always a great bet when eating paleo. It's my go-to, and I'll admit, I'm a BBQ addict. The thing about Freedmen's is that their award-winning pit master, Evan Leroy, is familiar with the Paleo diet. He knows the rules, and is more than accommodating to his paleo guests. He will lead you in the right direction when ordering everything from the main events to the sides and sauces. There is a beautiful sandwich is called the Smoke Stack. It used to be made with pork belly, but now it is a giant tower of pulled pork, succulent brisket and house-pickled jalapeños. Of course you can order this guy without the bun, which I have done many times. Anyway, if you are feeling really meaty, order the Holy Trinity, which is a perfect sampling of their Brisket, pork ribs and sausage. Did you know? 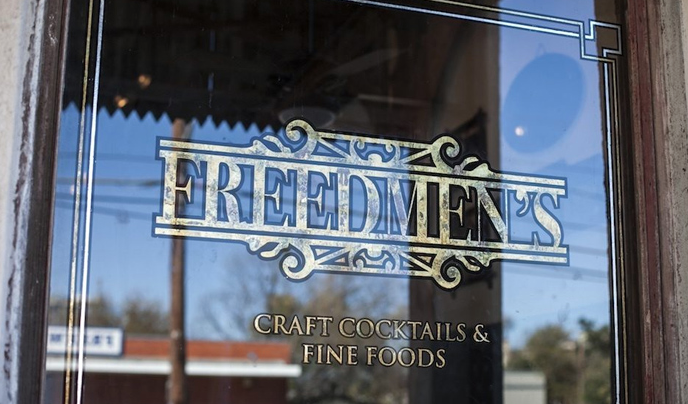 Besides brisket, I'm also kind of a bourbon junkie, which makes Freedmen's Bar in Austin, Texas, one of my favorite places to eat. They have one of the most amazing bourbon and whiskey selections in town. Not only that, but they have a $5 ($3 during HH and all day Wednesday) selected bourbon of the month AND always a daily muddle that has yet to disappoint me. As you may imagine, I get this question a lot-- "What is your favorite restaurant in Austin?" While Freedmen's is definitely at the top of a list like that, I'd rather rank a list of top epic meals. Last week, I caught wind of a tweet or Facebook message or something from Freedmen's that looked like this. Of course, I screen-shotted it and salivated until my friend texted me Friday morning "Bloody Mary?" I replied with the screenshot and said I'd meet him and my Godfather there asap. This beautiful, beautiful masterpiece is called the Holy Mary. It is an entire quart of Freedmen's homemade bloody mary, which includes everything from smoked tomato to "magic." It's made with Forty Creek Canadian Whiskey, not vodka, which is a perfect compliment to the smokey tomato and worcestershire. Why every bloody isn't made with Canadian Whiskey, I don't know. 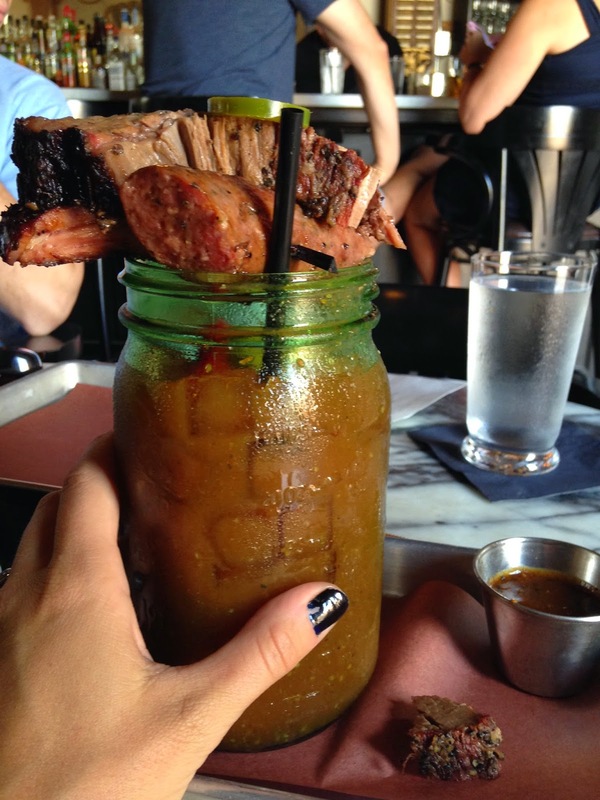 The garnish on this mother is a half-pound stack of brisket, a pork rib and a sausage link. When they bring out this hedonistic tower of meat and whiskey, everyone in the restaurant goes "Woah..." and you feel like the god damned champion of lunch. The side of their new sweet and spicy barbecue sauce looks like its in a thimble next to this beast. The Holy Mary is epic. And I am in love with it. It's rare to indulge in something so savage without guilt. But if this is wrong, I don't want to be right. Great Write up. Thank you for introducing this place to me. You are spot on about Evan. Great guy and really accommodating to his guests. Wow that Bloody Mary takes "brunchtails" to a whole new level!